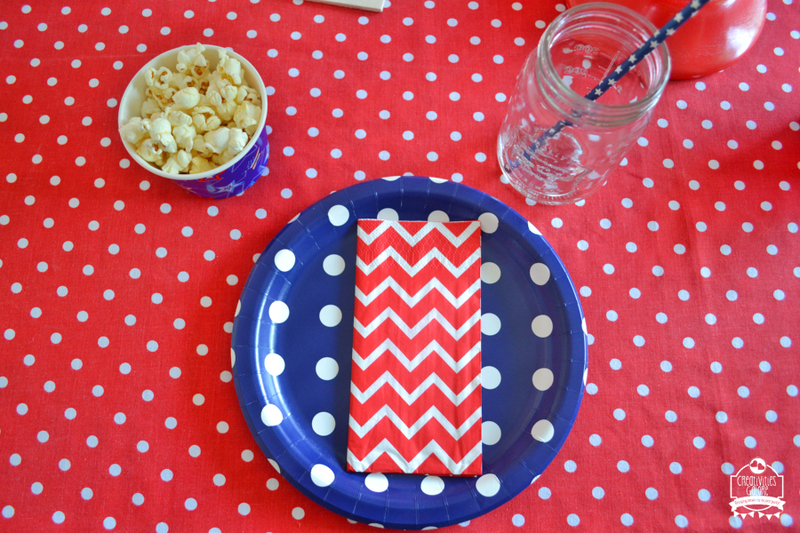 Budget Friendly Patriotic tablescape full of red, white, and blue! With Memorial Day coming up next week I decided this week would be Patriotic week. 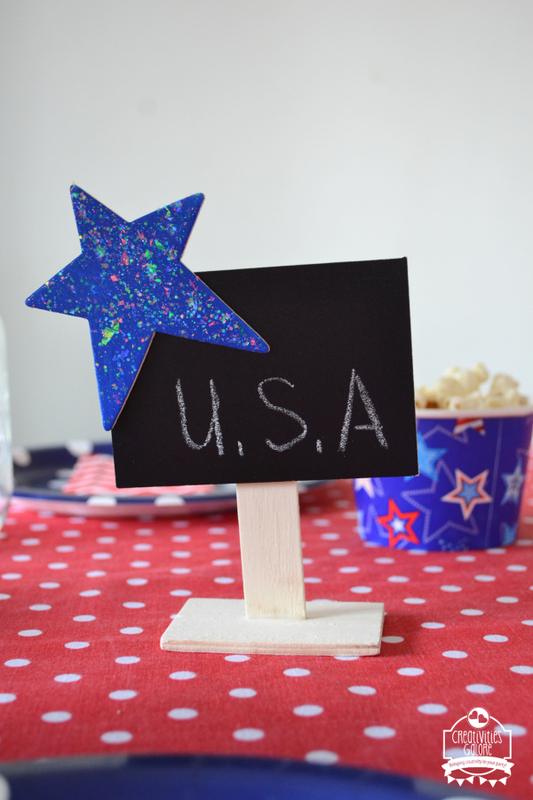 I will share a Patriotic tablescape today and some crafts and a recipe the rest of the week. I hope you are ready for red, white, and blue overload! My tablescape was full of red with touches of white and blue through out. Plus it was a mix of fun patterns; polka dots, chevron, and of course some stars. 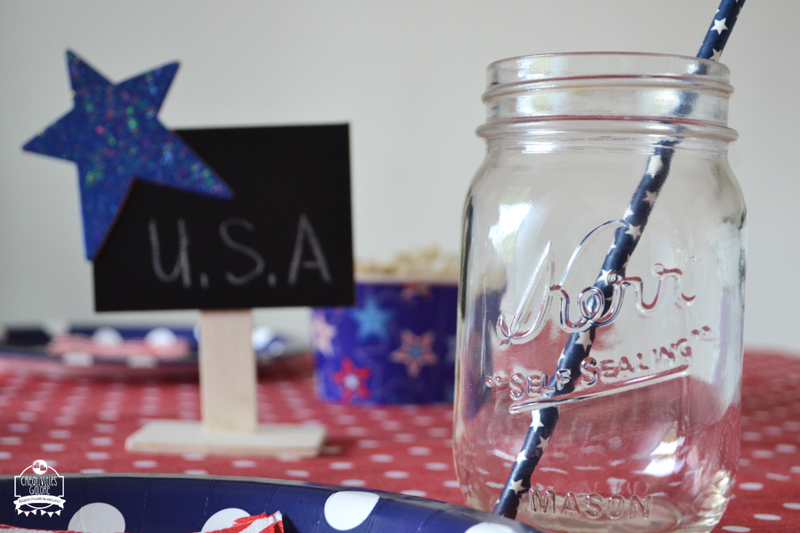 Each place setting consisted of a paper plate, napkin, popcorn, and a mason jar. The popcorn was inside a snack cup that had a print of various stars. Plus the blue on the background of the snack cups stood out on the red table cover. I think a mason jar on the table is such a classic touch. Fill it up with delicious sweet tea and that itself screams Patriotic. For the center of my table I set out these signs that I made , you won’t believe how easy it is to make these. Later this week I will share the tutorial. (Update: HERE is the tutorial) Another thing that was part of my tutorial was the delicious store bought cupcakes on top of a cake stand. 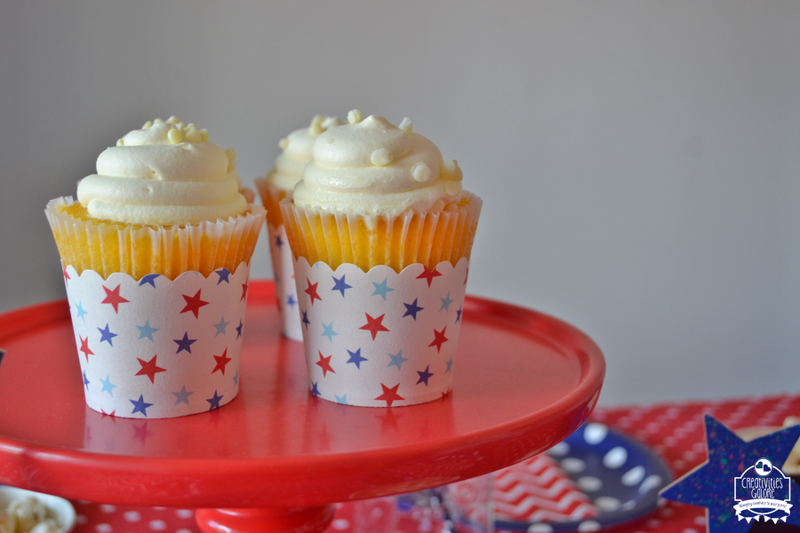 The cupcakes were dressed up with these star pattern cupcake liners. 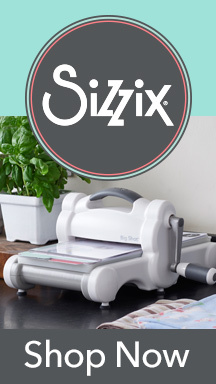 As you can see this table is super easy and budget friendly to put together. 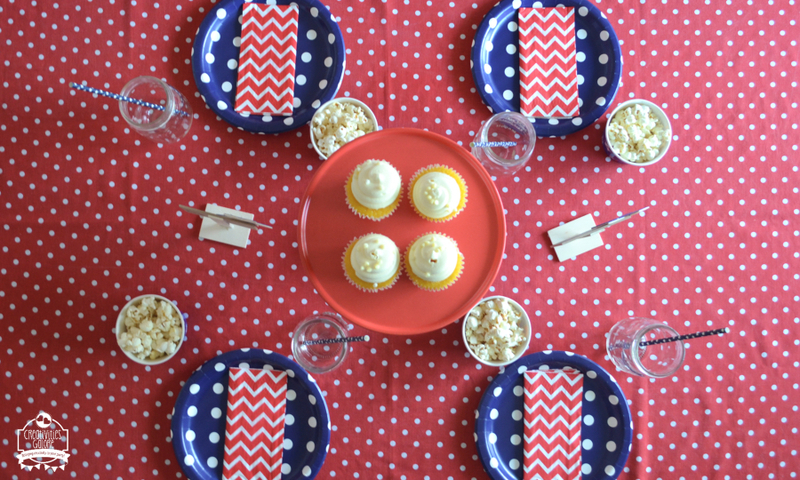 And there is still time to gather all the things and create your very own Patriotic tablescape. I know many people associate Memorial Day with the start of Summer but let’s not forget the real reason we observe this day. It is to honor the brave men and women who died while serving our country. Do you do anything to honor our fallen soldiers? Let me know in the comments below I would love some ideas on ways to honor them to share with my boys. 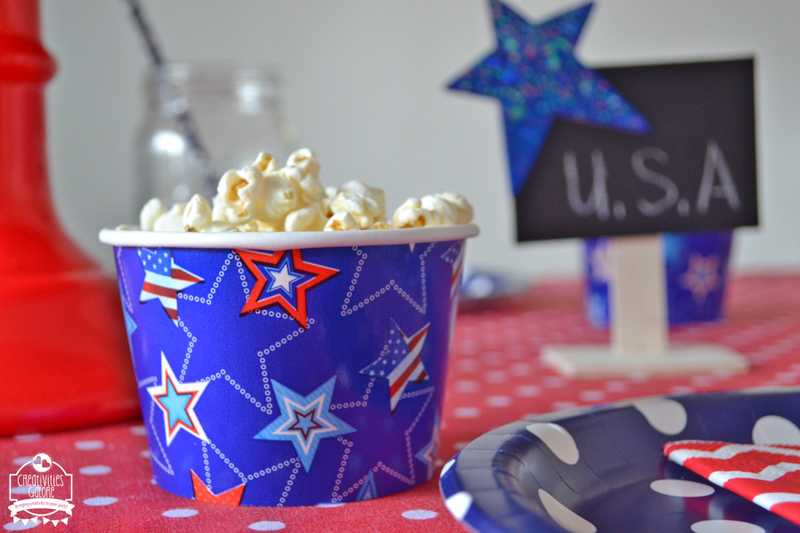 In 4th of July, Patriotic, Tablescape. Bookmark the permalink. Another cute set up! I love those snack ups and cupcake wrappers! !